Frédéric Savart was born into a family of vignerons, but his real dream was to be a professional footballer. He even signed a youth contract with Stade de Reims, playing as an attacking midfielder, but after meeting the woman who was to become his wife, he refused a potential transfer to another club, and decided to return home to work with his father, Daniel. The family estate was founded by Daniel's father, René Savart, who purchased his first vines in 1947. Daniel himself took over the winemaking in the 1970s, although production remained extremely small until the mid-1980s, when he significantly expanded the family's vineyard holdings. Since 2005, Frédéric has been at the helm of the estate, although Daniel continues to be very much present, cheerfully greeting visitors and happy to share a glass of wine. Today, the Savarts farm four hectares of vines, three in Ecueil and one in the neighboring village of Villiers-aux-Noeuds. Nearly all of it is pinot noir, with just a half-hectare of chardonnay: "Historically, Ecueil is a pinot noir terroir," says Frédéric Savart. His philosophy in the vineyards is to prevent disease as much as possible, rather than treat it—towards this end, he prefers a holistic approach, creating an environment within which the plant is better equipped to resist malady on its own. The soils in this area can vary: many parcels in Ecueil are notably sandy, although there's more clay on the mid-slope, and a few areas that are relatively chalky. The soils of Villiers-aux-Noeuds are generally chalkier than those of Ecueil, and Savart's vineyards here are particularly prized for their sélection massale of the renowned pinot fin d'Ecueil, planted here by Daniel and René. 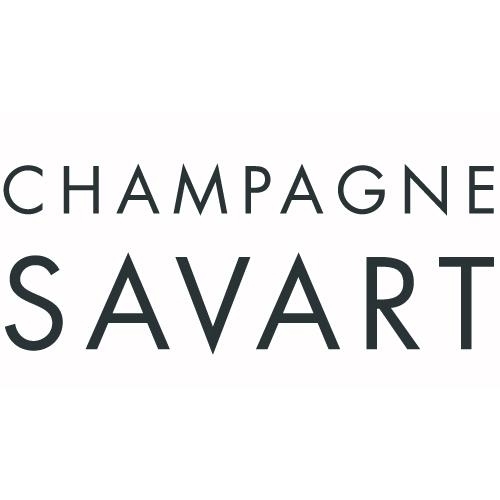 Most of Savart's wines are fermented in stainless steel, although he is increasing the use of barriques, which he has been working with since 2004. Malolactic may be carried out or not, depending on the individual wine and the particularities of the vintage. The dosage, which is generally low, is always MCR: "It's more neutral," says Savart, "and also, it's better than using a liqueur that's poorly made or poorly stored."